Nintendo Switch Motion Controls Coming Says GameStop CEO | Nerd Much? Nintendo Switch motion controls are once again being rumored. This time, the “confirmation” comes from GameStop CEO Paul Raines. Yes please, Nintendo. Nintendo has yet to reveal any sort of Nintendo Switch motion controls. With their history of motion controls, we have no doubt that they too will make the switch. Even the Nintendo 3DS system has some form of gyroscopic motion control. There is also a chance that the included controllers may not be the detachable controllers Raines is talking about. Nintendo president Tatsumi Kimishima previously mentioned that some hardware accessories have yet to be shown off. Does this there will be additional controllers to attach? 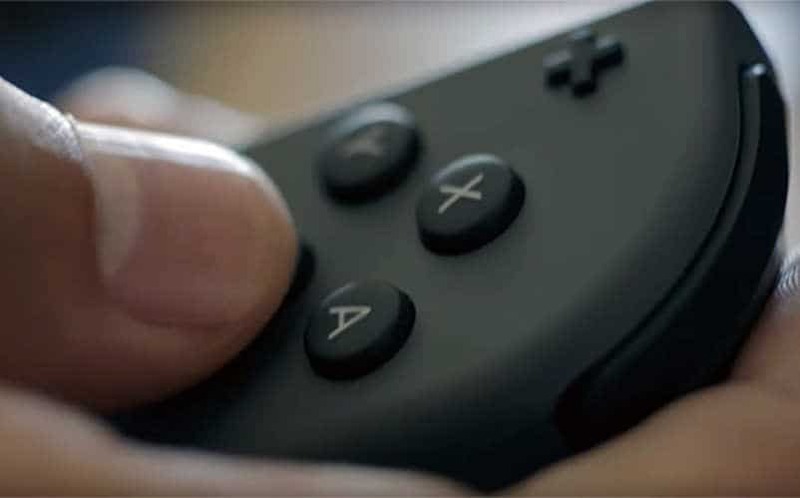 We aren’t sure if Nintendo would fragment its audience like that, but they definitely haven’t been shy about multiple controllers. Maybe, if they controllers are cheap enough, they can package it in with a mainline game. This would work well to ensure that people who want it feel like they earned it. We certainly hope that Nintendo Switch motion controls are coming. While we don’t want another Wii, it’s nice to be able to go back to older games from that hardware.